When a person notices some or all the signs of heart diseases, as explained in the pages before, a doctor will recommend some tests or screening to be done to confirm that all not well with the heart. Below are a number ways these tests are done. 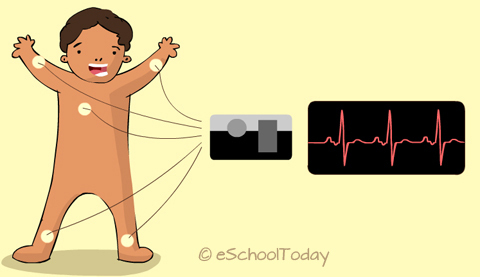 The heart's electrical activity is recorded by an electrocardiogram. The patient is placed on a monitor and the doctor will observe the readings on the monitor to determine if there is something wrong. The doctor can also ask you to exercise whiles looking at your heart’s muscle reactions. He is trained to tell if there is stress on he heart muscles. This is know as the stress test. Just like sound bouncing off a wall (echo), sound waves are bounced off the parts of the heart, and a heart expert can tell if the resonating echoes is normal or not. There is a special dye that can show fatty deposits, plaque and other problems when applied to some blood vessels in your body. A long tube will be inserted into the body to apply the dye. There is a vey large blood vessel in the neck called carotid artery with carries blood to the brain. Doctors will listen to sound waves in this blood vessel to determine if there are blockages in it.